As part of the MVP Marketing program DIRECTV is offering the 2013 NFL Fantasy Football HQ kits for just $25.00 in credits. Credits you get for free with any major sports package. You probably have credits on your accounts right now! Ask us how to check your MVP Marketing account. Use fantasy football draw in customers for fantasy drafts during preseason NFL Football & boost your revenue during this typically slow time. NFL fantasy football is a great way for you to build awareness that you will be showing NFL Sunday Ticket when the NFL regular season starts and generate even more sales with football fans who spend nearly $11 billion per year participating in NFL fantasy football. 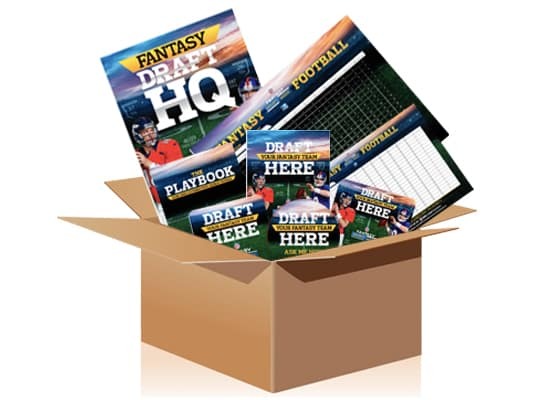 Once again, the kit also includes the fantasy “Playbook”, which contains information a bar/restaurant owner can use to prepare their business to host successful fantasy drafts. Pencils that bar/restaurant owners can give to the drafting league, free! (5 sets) Color Coded Player Labels. 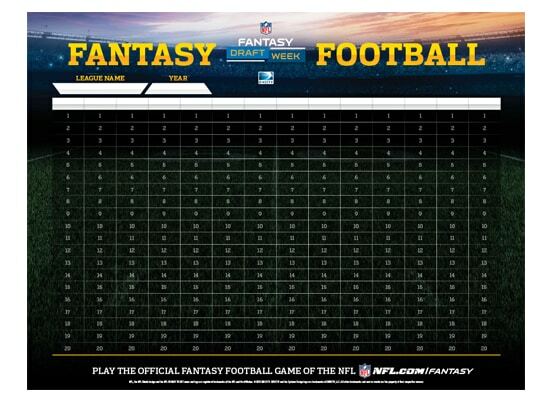 So you can host as many fantasy draft parties as you would like. Be sure to order your NFL Fantasy Football Marketing kit today and use NFL SUNDAY TICKET to draw patrons who are looking for places to root for their out-of-market players each week.